The chickens absolutely hate the snow, especially deep snow. 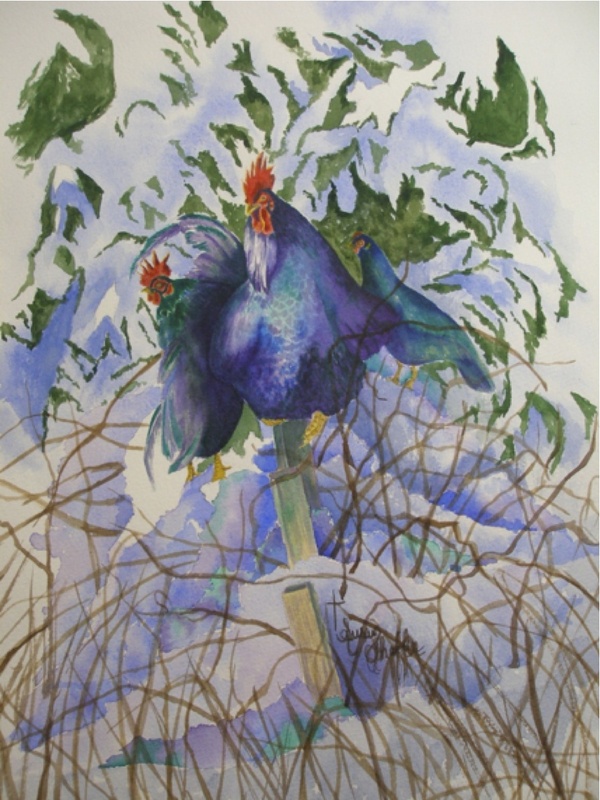 Here these roosters and hen are huddles together on a fan shaped wisteria arbor trying their best to escape the depths of the snow. What a comical scene to watch the chickens in the snow.